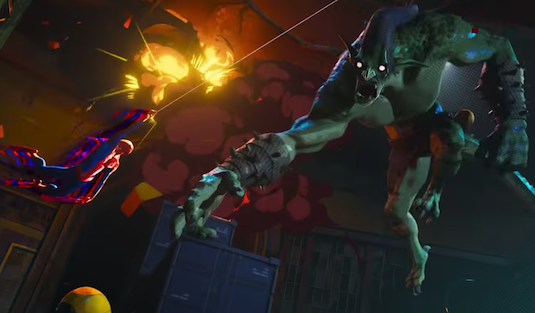 To be completely honest, the first trailer for Spider-Man: Into the Spider-Verse pretty didn't have to show us anything but the movie's amazing visuals for us to love it. But the trailer already gave us a glimpse of what to expect from the Miles Morales centric movie, with an older Peter Parker mentoring the young new Spider-Man. But now we've gotten an all new trailer that answers one of the biggest questions we've had about this movie, what is the actual plot? Well apparently we'll be getting a multitude of fan favorite iterations of Spider-Men (and Spider-Gwen) who are coming from different universes to help Miles stop Kingpin from destroying his city. The movie is definitely taking a much more meta and self aware approach then we've ever seen Spider-Man before, so basically think family friendly Deadpool. There's references to past Spider-Man movies during Peter Parker's opening monologue, as well as acknowledgement of how he's a comic book character and a famous brand in general. This Peter seems to be a far cry from the clean cut version we're used to seeing, with a much more worn down and care free attitude. What we learn about him in this trailer is that he isn't the current Spider-Man in Miles' world, but is in fact from a separate universe just like the others. While we know there's going to be several different Spider-Men from different universes who makes cameos, this trailer gives us an idea of who the core group will be. 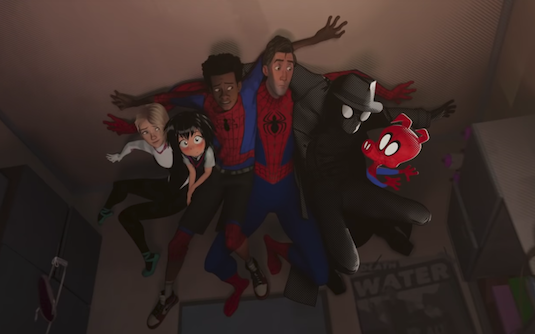 The much more comedic Spider-Ham will be a member of the group, as well as the old-fashioned Spider-Man Noir voiced my Nicolas Cage, the Japanese Peni Parker alongside her mech suit, and Spider-Gwen voiced by Hailee Steinfeld. The three will apparently be meeting up with Peter and Miles from their own respective universes at some point in the movie to take on the main baddie from his own universe; Kingpin (Liev Shreiber). 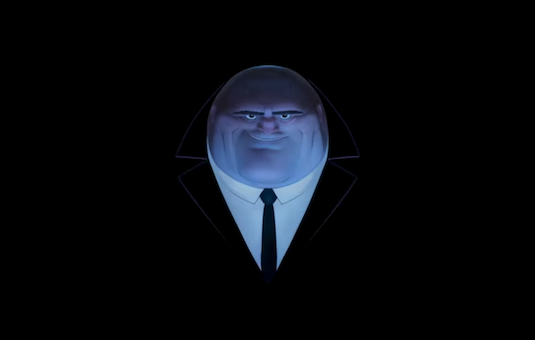 Kingpin will apparently be the one who creates a machine known as "the collider" which is what manages to connect all the universes and allow for characters to cross over. This machine is also apparently what is threatening to destroy Miles' version of Brooklyn, where he is apparently their only Spider-Man despite his dad mentioning a previous one. Its possible that this portal is also where the villains such as Scorpion, Tombstone, and Green Goblin all came from other universes. 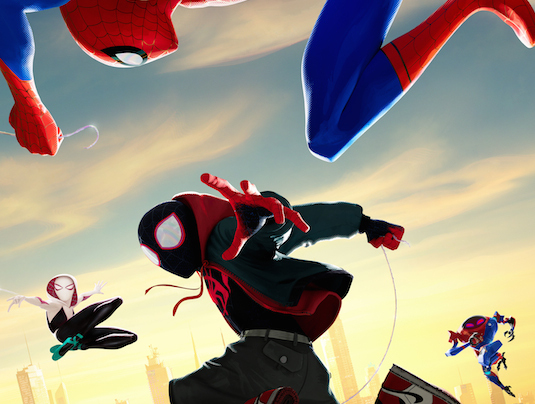 So what did you think of the Spider-Man: Into the Spider-Verse trailer? Are there any other references you caught? Let us know below!